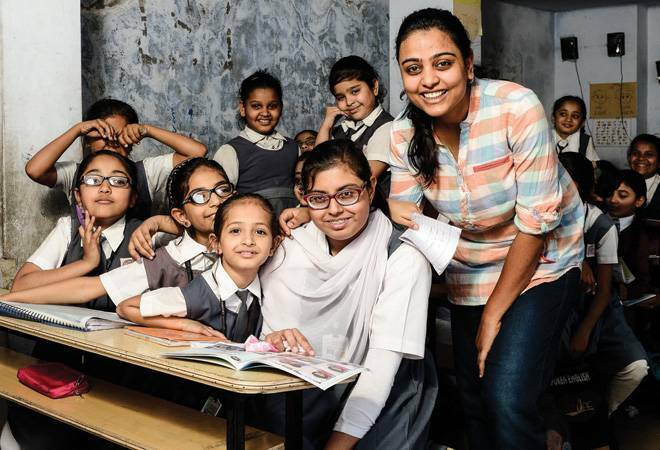 Aditi Gupta has used comic books to make thousands of girls aware about menstrual health. Menstrupedia was founded in August 2012 by a young couple keen on creating awareness among young girls about health during menstruation and to demolish myths around the subject, still a taboo in large parts of India. Ask Aditi Gupta, who set up Menstrupedia with Tuhin Paul, on what she is proud of over the past 12 months in terms of impact, and she points at her engagement with the Andhra Pradesh government. "The government of Andhra Pradesh distributed Menstrupedia comic books in English and Telugu to 122 residential schools across 11 districts," says Gupta. This is building on the efforts over the last six years. "Today, 1,50,000 girls across more than 250 schools in the country are using our comic books as part of the curriculum. We are working with state governments of Andhra Pradesh, Chhattisgarh, Gujarat and Uttarakhand. That apart, we ship our books to 19 different countries," she says. Menstrupedia comic books, she says, are available in 14 languages, including most of regional languages. These books are also locally printed and published in Nepali out of Kathmandu and in Spanish from Uruguay. "Our free downloadable educational resource for conducting menstrual education workshops is available on our website in 11 languages," she says. The comic books have been reviewed by an experienced gynaecologist for accuracy. Menstrupedia, which launched its comic books after raising funds through crowdsourcing, is self-sustaining.